On Dec. 24, a Tennessee Department of Transportation worker was hit by a car while helping a stranded motorist change a tire on Interstate 40 in Hermitage, according to WMC Action News 5. This driver was speeding and was cited for not moving over and failing to use due care. This incident shines a spotlight on how drivers should safely share the road with emergency vehicles to help prevent accidents. The TDOT worker luckily survived the collision, but there have been several instances where emergency crew workers were struck and killed by motorists this year, according to WMC Action News. In July, an operations technician was flagging traffic around a maintenance crew along State Route 54 in Crockett County, when he was hit by a vehicle. These accidents between motorists and emergency crews in Nashville could have been prevented if drivers remained alert and knew how to navigate around them. Here is what Nashvillians should know while they are sharing the road with emergency vehicles. The “Move Over Law” which passed in 2006, is a part of the “Failure to Yield to Emergency Vehicles Law” and requires motorists to move over into the adjacent lane of traffic, or to slow down for emergency vehicles, according to the Tennessee Department of Safety and Homeland Security. A driver who violates this law may face heavy penalties including, a maximum fine of $500 and up to 30 days in jail. Even with this law in place, drivers failing to move over is a major problem in Tennessee, according to WMC Action News. This year, more than 1,100 people have been cited for failing to get out of the way of emergency crews. In order to not be cited and to prevent an accident with an emergency vehicle, it is very important that you obey the “Move Over Law.” Allowing emergency crews as much room as possible to get around you can help them get to their destination as quickly as possible. “The quicker we get there and start taking care of the patient medically the better their chances are of surviving,” Capt. Tim Holmes of the Nashville Fire Department told WSMV News. 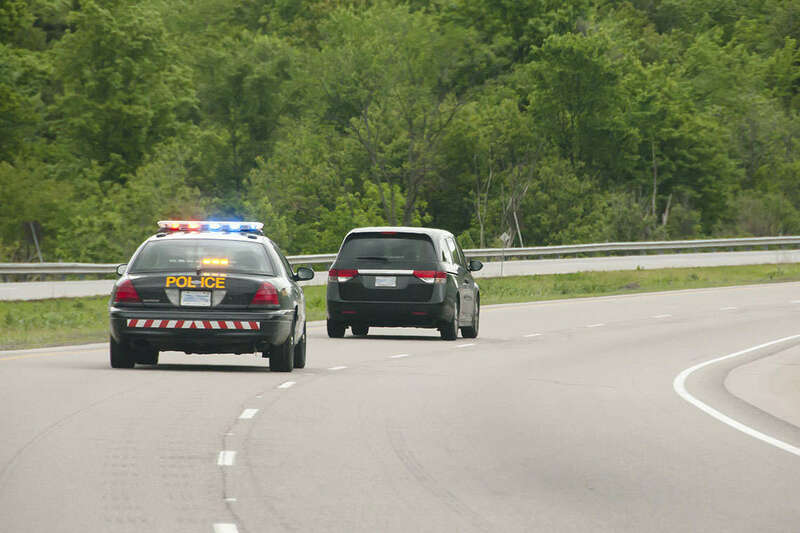 An emergency vehicle coming right up behind a motorist’s vehicle can be an agitating experience. A driver may panic by freezing, stopping in the middle of the road, or swerving into another lane, according to the International Association of Fire Fighters, a labor union that represents firefighters and emergency medical services personnel in the U.S. and Canada. If an emergency vehicle is behind you with its lights and siren on, calmly check to make sure that there is a clear path on the shoulder of the road, then pull over, according to the IAFF. Also if an emergency vehicle is following close behind you, don’t break excessively or perform any sudden changes in direction. However, if you are in an area where yielding would create a dangerous dilemma for the emergency vehicle, indicate your intent to yield at a safer location by putting on your blinker lights, and then yielding when the location is both safe for you, the emergency vehicles, and other drivers, according to IAFF. You should also keep in mind to never yield at a perilous area on the roadway, such as a sharp curve, cliff, or on a hill, unless you are able to completely pull off the road onto the shoulder, according to IAFF. Yielding on a sharp curve or hill can pose a risk to an emergency vehicle that is attempting to pass, as well as other motorists. Driver distractions are a major factor in the causes of collisions involving all vehicles, both emergency response, and the general public, according to the Federal Emergency Management Agency. In Nashville, there have been several incidents where an emergency vehicle was hit by a distracted motorist. On Oct. 12, a Middle Tennessee officer’s patrol car was hit by a distracted driver as it was parked on the side of Interstate 40, according to WATE ABC 6 News. Wilson County Sgt. Matt Smith said the problem is people are looking at their phones and driving distracted rather than paying attention to the road ahead. “It was amazing, just watching the cars zipping by, it’s like they don’t pay any attention at all. There are people that have just blown right past us without showing any regards to attempt to get over,” Smith told WATE News. In order to prevent accidents with emergency vehicles, you should remove all distractions in your vehicle. Put down or turn off your cell phone, lower your radio volume, and don’t eat or read behind the wheel. Also, headphones should not be worn when behind the wheel, because they may prevent you from hearing an emergency vehicle’s siren, according to FEMA. Sharing the road with emergency vehicles may sometimes seem tricky, but you can help prevent accidents by staying alert behind the wheel. However, even when you are focused on what is going on around you, accidents can still happen. If you or a loved one was injured in a car accident due to the negligent actions of another driver, we may be able to help. To learn more about how our Nashville car accident attorneys may be able to hold the negligent driver responsible for the damage they caused you, contact us today for a free, no-risk case evaluation.